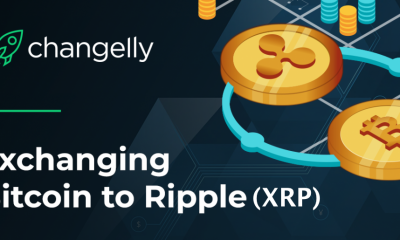 Ripple has been garnering a lot of attention in the cryptocurrency world. 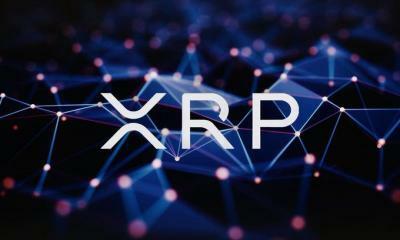 Just like other cryptocurrencies, Ripple’s cryptocurrency, XRP also uses the blockchain technology. However, unlike other cryptocurrencies, it is regulated and facilitates fund transfer for banks. Ripple has seen a surge of 4000% in the first half of 2017. Today, the market cap of Ripple is more than $100 billion. Ripple claims that there were more than $11 billion worth of transactions in the second quarter of 2017. Currently, it is listed on 30 exchanges. Right now, SWIFT facilitates most of the international payment transfers. 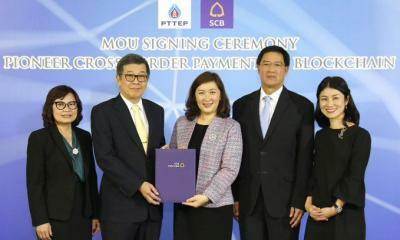 Whenever we make any cross-border transaction, we need to provide the SWIFT code of the branch of the bank. SWIFT has a monopoly over cross-border settlements. It has more than 11,000 financial institutions and 200 countries on its network. Ripple is associating with big financial institutions and working with many banks to incorporate its blockchain technology. It’s hard to say how soon or whether Ripple will be able to take SWIFT down or not. However, it can indeed break the monopoly of SWIFT over the international fund transfer. Ripple can process 1500 transactions per second, which is huge as compared to Bitcoin. Bitcoins can handle up to 7 transactions per second. Ripple’s technology is powerful enough to replace international payment systems such as VISA while reducing the cost and allow instant transfers. 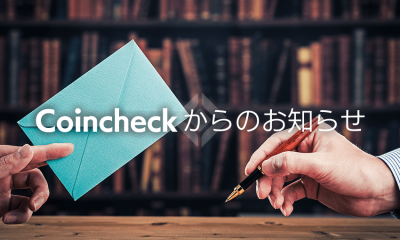 A large number of banks from around the world are actively working with Ripple to implement its technology over their payment infrastructure. It makes Ripple trustworthy, and investors find XRP to be a comparatively safer bet as compared to other cryptocurrencies. Cryptocurrencies performance during 2017 will be a determining factor for their demand in 2018. 2017 saw the price of XRP surging rapidly during the first half. Other cryptocurrencies won’t find it easy to copy the market development of Ripple. 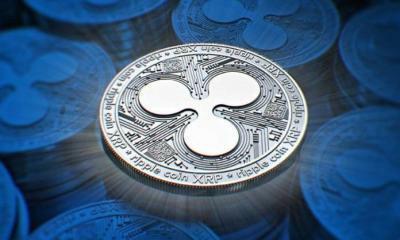 Investors interested in the digital currencies as a haven for the uncertain times will find Ripple as a promising candidate. – Looking at the latest developments and increasing interest towards the XRP, by the end of 2018, the Ripple price is expected to cross the $7 barrier at least. 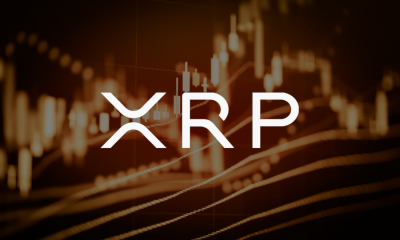 – Trading Volume of XRP is nowhere close to the most popular cryptocurrencies, BTC and ETH. Trading volume is expected to grow in 2018, and a rise in speculative activity on the Ripple cryptocurrency can even raise its prices to $7-$10 mark as well. 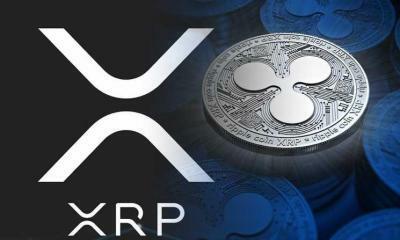 – Though the overall price of XRP is expected to witness an upsurge, not all months of 2018 will be the same. A lot of cryptocurrency enthusiasts don’t like the idea of banks or any financial institution or a company regulating the cryptocurrency. 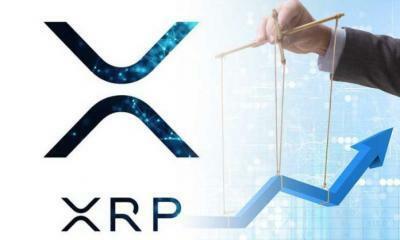 In the long run and as long as banks exist, XRP is likely to prove as a solid investment, but its prices can see a downward trend in some of the months. With a promising financial technology for future and growing network of banks, Ripple’s cryptocurrency looks like a promising long-term investment. 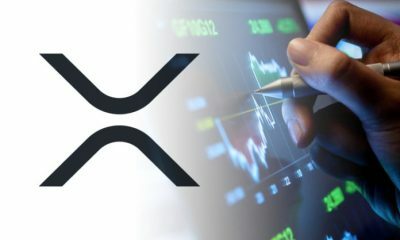 With more investors becoming aware of XRP and a growing awareness towards its technology, XRP’s prices are expected to rise in 2018. In the first half of 2017, XRP’s price surged up to 4000%. As the trading volume of this cryptocurrency is nowhere near the most popular cryptocurrencies, BTC and ETH, it is expected to witness at least one-fourth or half the spike as seen in 2017. Therefore, it is predicted to rise above $7-$10 in 2018. Next time before you sell, tell me so I can buy. I have doubled my savings in less than two months! 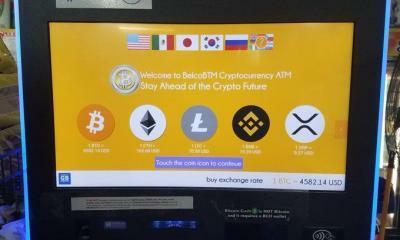 Thanks to ethreum, litecoin, ripple. What I can say is, buy in the dips. dont sale and stay still and chill. If you want to be in front of your computer all day, then buy and sale. if that is not the case chill out and buy when low. IT’s working wonders for me. good luck ! Always do research on the coin, the parent company, and where they’re headed/what they’ve done. If you did that, you wouldn’t be jumping boat too early and missing out on the surges. You shouldn’t invest in crypto if you’re looking to dip in and out with a large return in a short amount of time anyway. How did you purchase ripple? Dominic: Allow me not to take advice from someone who admittedly screwed up 2 sales in a row. How panicky can you get, really? The only person you should be pissed off at is yourself for panic selling. You don’t have bad luck…You just seem to make a lot of stupid decisions, that and you are WAY to impatient. This is investing…its not going to the race track and betting on the best horse and hoping you win a ton of money. But the worst part of you…is that you are inexplicably passing your stupid impatient decisions on to others when they ask for advice. Unbelievable. 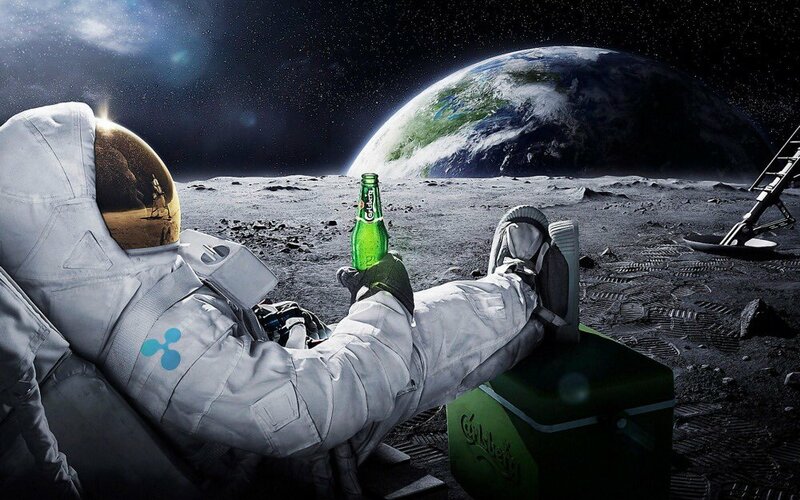 How you feeling now that you sold your ripple at 0.28 cents…? Seeing that it is now at almost $3.00 just 2 WEEKS later…ahahahahaha!! “Stay away from it” he says….LOL. I totally agree with you. It can scare the newbies as well. Like he said it is not a race track. Show some patience. Invest the money and have a look at the trend twice a day. All the BEST and Hope you will Gain profit. i am looking ripple from long long time , I deposited in to buy ripple ( it was like 0.2 at this time ) , but I got fuckt up because of many fees in the end i couldn’t deposit , because the amount was low ….. one day later its at 1$ and now almost at 3$ ……. Im up 900.00 on ripple! it just jumped to 3.60 baby!!!!!!!!! Stay away?? You sold at 28 cents and are giving stock advice??? Ribs are hurting from so much laughter. I feel your pain. Except for me I buy and it plummets. Kepp buying as long as its under a dollar ($1 USD) and HODL for at least a year until December no matter what happens. The see where your at. Also, IF it does get to a nice price before then and you feel compfotable with those profits then by all means sell sell sell but please dont panic sell at the first big drop. I notice allot of crypto investors are easily spooked and very impatient. Long term doesnt mean a week or month, it means years. BUT if you’re trying to “day trade” and you are inexperienced, you might lose all your money because crypto can be very sporadic and hard to read. So unless you’re lucky or can read the signs then please start slow and dont gamble anything you arent willing to lose and DONT PANIC SELL! DOMINIC….. CAN YOU KEEP US POSTED EVERY TIME YOU SELL OR BUY ANY CRYPTOCURRENCY? IF IT WORKS EXACTLY LIKE YOU SAID…… I’LL SHARE MY PROFITS WITH YOU. Ripple held back half of the coins because its part of their business plan. Those coins are to be put into an interest bearing account and released a certain % at a time each month. Also, a small % of XRP gets destroyed each time there is a transaction, so over time XRP becomes DEFLATIONARY, also increasing the price. Yes XRP might be the “centralized” crypto but no-one ever said it wasnt over at Ripple. They made cealr exactly what RIPPLE is made to do. Basically I am deeply amazed by blockchain theory and technology and I am also amazed by how anonymous certain coins are but sadly I am poor as f**k and If I can make a few dollars I will by trading XRP and in the mean time I can use any profit to support other cryptos as well. Ripple and xrp will be the crypt that covers the planet. Nothing measures up to xrp as a coin and ripple will not be losing xrp at all. However it will take just Alittle time. Xrp will be used by the mainstream. Crypts will only grow and grow no matter what. It’s the new affordable care act and agenda 21 . One world currency and the raid. Implant . Cashless will happen and so will this. You can read all about this in revelation chapter 13 versus like 12 and up. .
Good luck God speed and share the word. ……..Okay…umm…what?? How is xrp or cryptos the new affordable care act?? Like, as in…it too is a poplar term? Or, as in…it will provide healthcare for millions of people? Actually, Crypt may just reshape healthcare. Patientory aims at using Blcokchain technology to help hospitals meet HIPPA regulations, and provide more security for Private Health Information (PHI). Security is healthcare is always reactive, and this provides a proactive strategy. They even have a booth at HIMMS this year. Might be a great opportunity. Just look at Epic, the EMR system. They use the most advanced technology, and if they or Cerner adopt Blockchain as their standard, ICOs like Patientory will explode. So Cryptos and Healthcare are more than likely going to be very invested in each other. If you guys read the news someone or company had placed 700 million dollars within ripple about two weeks ago on December 15th. XRP was valued around .70 cents then. Now it’s doubled. Don’t you think that is a bit fishy? I personally think it’s a pump and dump scheme. I’m invested in it but I’ve placed a stop limit just incase the surge does go down as I predict. You should just really not be investing in cryptos. I bought 177 USD worth of XRP in Sept 2017. It’s value now (Jan 2018) is more than 4000 USD. XRP only has to reach 1 % of the current value of BTC (even if it takes 5 years) and I will have made 2,431,000 USD. I am not buying more ripple at this time, although I may exchange small amounts of BTC to buy a few thousand of other promising coins like XVG OR DGB (Digibyte has already tripled in value since I bought a few thousand of it a week ago). “Pump and Dump ” but you are all in?? Do like talking out both sides of your face. Got a name for you…Luke Fence Walker. I think that anyone really looking to invest in Altcoins just need to look into the background and the really high market cap. The coin can only rise and I would be bullish enough to predict that XRP will breach $3 in January 2018. Its on the journey and will be top 3 right through 2018. The eastern market with China and Korea recognizing the swift payments for many credit company and suppliers seeing real benefits to customers – this base will continue to grow. AMEX are in the wing and all signs show they are prepping for real involvement. The only way is up – skyward. It’s a misinformation that the Banks will not need the XRP if they’re using the ripple network. They will still need the XRP to convert FIAT currencies instantaneously during global transfers. Another misconception that Ripple isn’t interested to increase the price of the XRP. That is partially true, they will need to increase it (by means of controlling the share they own) so that the banks can easily transfer huge sums of money with as little as XRP as possible. That’s also because some XRP is lost during the transactions as part of the source code and the ripple system. That said, Ripple will try to increase the XRP price in a very stable trend, because price volatility of all the other cryptocurrencies are what keeps banks away from using any of them. I have 1200 USD in Ripple and will buy much, much, more before March ends. You can’t get hung up on the banks doing anything with Ripple until more big investors fall in line in buying a lot of Ripple. that alone will take Ripple to 5 to 7 dollar mark. Then Coinbase accepting Ripple as it’s 5th currency will make it surge to the 15 to 20 dollar range. Then Amazon takes Ripple to the upper level for investors and Big banks to apply it to their portfolios and their businesses. Ripple will pass the 100.00 mark buy the end of November 2018 so don’t get discouraged because this is the calm before the storm so I am on the Big Buy train for XRP and I hope everyone is doing the same thing. Ripple in 2017 Was on one roller coaster ride after another. I purchased Ripple when it was .25 cents a coin and it went crazy as it rose to .75. I bought some more and it rose to .99 and again to 1.05. Ripple rose to 3.10 a coin and looked like everything was coming up roses until Coinbase came out and said that they weren’t going to add any more currencies at this moment and put ripple in a tail spin. It dropped to 1.00 over night and is now at .9045 USD. But it will eventually go up so use this low time to invest so your not saying I should have done that like I said abought Bitcoin. Now it’s at 10,000.00 per coin and I could have purchased it at 35.00 but I didn’t. Ripple is my last chance and I am going big. Buy Ripple!!!! Have to agree, as much as I dislike the fed cartel I don’t see it collapsing anytime soon. Keep buying Bitcoin/Ethereum/whatever, but don’t be foolish and ignore Ripple because of your political convictions. I’ve got XRP in my long term portfolio (5 years), roll the dice. I have worked in banking and know when they need a software program they just employ India to create one for them. Check out India’s involvement in Ripple! Ha ha, that’s exactly what I just thought when I read Tommix’s post. I’m putting every penny that I can afford to lose in to XRP. If it doesn’t make me rich over the the next few years I will eat my hat. Even my wife is convinced, after yesterday’s news! @chris Caunt, you must be pretty happy now. Fairy Tales?? Uber, Amazon, 100+ banks and Google. Yeah right,,, go ahead and sell so I can buy yours!! please can you send me the link or advise me how to register with ripple? The technology is clear. Its also said that the use of XRP reduces the transfercosts of the banks. But how is the case if the banks have to pay the marketprice for ripple/xrp predicted between US$2 and US$4. what influence will that have on the transactioncosts? They pay $ 25,- for one swift transaction. So paying $2,- or even $50,- is still cheaper as the fee is just a few thousands of a cent. And you can use what is send to you. So even when SWIFT cost $25,- and XRP cost $50,- XRP is still cheaper in usage, you buy it and send it and receive it back. Just 2 transatransactions would make you get to a brake even point. Let’s be realistic. Banks are slow moving. The fact that a large number have taken on the idea of even using blockchain is awesome. So they are using the ledger alone and not XRP. Not a huge deal right now. Perhaps (speculation) they are testing the waters and then in the future will delve into XRP. Who knows…. All banks and big companies like Microsoft interesting in Ripple blockchain technology (during swell we not see any good news about XRP Coin).. for that we see drop in XRP price … but I am say in the past XRP long term investing. it is droping sharply to 0.21. Who knows the reason? 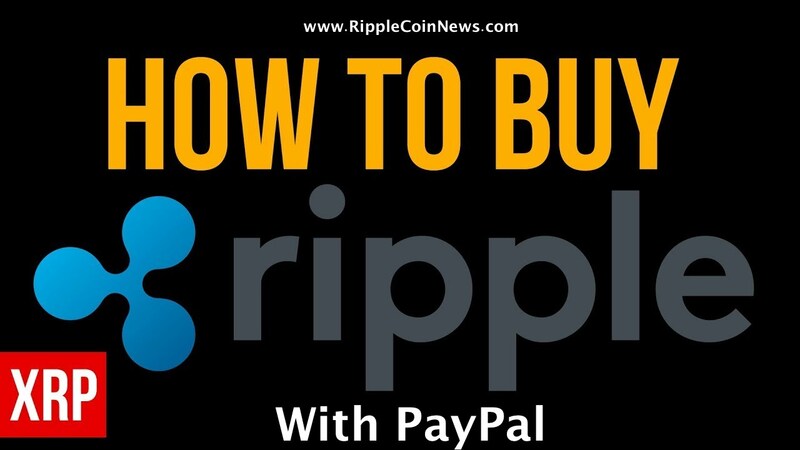 Does anyone know how to buy Ripple, or any company that can help with the purchase, any phone numbers would be helpful. try Bitstamp, coinbase, poloniex etc.. I doubt you’re a good market predictor, which is fine, I’m also terrible at it. However, you shouldn’t sell at a loss then, hold and wait until it gets back up again. Ripple handles 1500 transactions per second, not 70K. I bought XRP when they were 25 Euro-Cents each. Now they’re at 18 Euro-Cents and I’m not worried at all because I’m looking at the long term possibilities. Believe in huge returns in 5 years from now and watch it happen! XRP is when you for long term. If you think, you can be rich in few years, then you are wrong. XRP based on Ripple is focused on banking sector. As banking sec. moves we will see progress. It will go up and down for few time in cents. In the longer term through extensive graph and CAP and tech infrastructure analysis. It is going to to be a good investment. But, just remember, only do much what you can afford to loose. Always have top and low sec to buy to sell and act accordingly. go get btc off coinbase or eth off anywhere else. Probably eth because lower fees. then use Binance to turn it into XRP. Put XRP into your wallet program that you should’ve installed. Should be able to buy on Bitstamp. I’m new to all this crypto currency stuff but I’m wondering how XRP will actually go up in value since it’s not exactly the Ripple system. 1. Lower fees so you make more money. Not sure what SWIFT is going to do here but I suppose since Ripple is open source isn’t it possible that SWIFT actually uses the Ripple technology and maintains it’s current bank clientele? If you’re a bank or business it’s a huge problem switching technologies..
I’m absolutely confused! I read good things about Ripple and then something bad appears. I was thinking to invest small sum into this system because I know that what ever happens with balloony Bitcoin craze. Today I was seeing the price at almost $11.500 per bitcoin… WTF?! People lost their minds… and the interesting part here is that Bitcoin is not the best technology. It is just the first one, the pioneer. There a better cryptos with much better created blockchain systems, which I’m sure will be in use much longer in the future after the death of the Bitcoin. I hate banks, but from an investor’s point of view, if Ripple is much better than Swift, Bitcoin and other players in the niche, why leave it on the shelf. My problem is the buying process! I was looking to find how to buy it, but every time I just can’t understand how. Looks very complicate and my main concern is that I read many people got scammed by the exchangers. Why so complicated?! May be when Ripple starts in full, money from bank to bank or to other providers will take just seconds, not days like now. The miracle will be if or when Ripple becomes main payment system, the price per Ripple (XRP) to skyrocketing not to $2-$5, to go up beyond $20-$50… and why not 200-300 in the next 2-3-4 years!? Then a $1000 investment now, will be enough for one’s retirement. Use Etoro! You can put a stop loss in and increase it as the value of ripple increases. win win. I have no issues withdrawling from them and no mucking around with currencies and wallets etc. Just use USD once and done! Thats called a CFD and you speculate whether the price will rise or fall without owning the asset, whereas a wallet you own the coin and there is no margins limiting profit other than network and low transaction fees. That’s correct. One should rather register on a platform like Altcointrader and buy the actual coins. Then send it to a private ripple wallet for safekeeping. Patience is the main thing here. Prices of all cryptocurrencies fluctuate sharply sometimes, but if you can look past that you’ll see they always return to their “normal” path. My investment in XRP is now 8 times it’s original value. The key is to: 1. Study the coin and not what others say about it. 2. Invest when the value is low. 3. Keep wallet info safe offline. 4. Don’t invest what you can NOT afford to lose. 5. Be patient. PS! 30 USD investment in Bitcoin in 2009 will now be worth more than 10 000 000 USD! The problem with that, is that the market capitalism is high enough as it is. It is the 3rd or 4th largest cryptocurrency in terms of market cap and even if it were to jump ahead to first, would only jump this thing up to around 4$. Not quite the jump from >1$ to hundreds you were looking for. In simpler terms, if Ripple was to jump to 100$, then it would be valued at something like a trillion dollars, and everyone knows that isn’t the case. Personally hope it does though! I just used Kraken Bitcoin Exchange for Ripple or XRP. Worked great and you should have a Ledger Nano to store it. Can anyone suggest the best wallet to store XRP ? I have a wallet with blockchain but they do not support XRP and I am not really looking to get hardware from Nano .. please advise. Pretty sure all XRP wallets will do as you need 20 XRP to open an account, or reserve a wallet address on the network/blockchain/ledger (not sure what word is applicable). I believe it’s still yours to spend or sell later. Ripple works slightly different from most other currencies and that it one of it’s quirks, That’s about all I know. I’m only just starting to learn about crypto-currencies so i won’t pretend to know any more than that. Invest in XRP now and watch it skyrocket to $5,000 in 5 years time. I dont think he did at all, remember bitcoin was 0.01 cent 7 years ago, and now 7 years later it is 13k. Omg, so many wrong assumptions here!!! Look also at the supply! How many btc you see? How many ripple? Is not that EVERY crypto can reach 14k as bitcoin. @Rob Correct! However…XRP only has to reach 1% of current BTC value and I will be making millions. It’s already returned more than 8 times my investment in 2 months. Put your money in the bank dude. If you think Ripple will reach 5000 you have no clue about market caps and shares. Ripple will never reach $100. With 100 billion coins at 100, it would make it more than all of the currencies combined on earth. 100 dollars is definitely plausible. If your talking about paper money or the M1 money supply that yes I don’t see it happening. If your talking about M3 money supplies I definitely see it happening. The US economy is 18 trillion. We are 1 country. BTW 55 billion is being held in escrow and being kept out of circulation. BTW SWIFT processes 5 trillion dollars a day in transactions as well. Replacing SWIFT is Ripple’s top priority. Invest how much to see $5000? Or, did you mean 1 coin will be $5k each? Probably it will peak around 250 dollar mark in a 5 year period. Hello does anyone have an opinion for GATEHUB as a platform and wallet ? is next year Ripple can go up to 100? 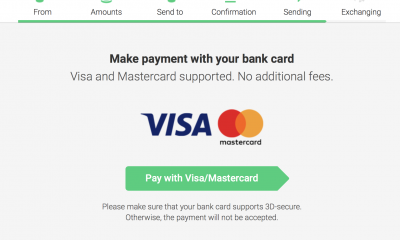 I tried to buy Ripple with my Debit Card as it was advertised but I could not because Changelly uses Indacoin and they do not operate in the US. I am bummed I’ve been trying for way too long to get this done but to no avail. Is a wallet required for bitstamp or do they act as a wallet and trading platform as well? How do I withdraw XRP from bitstamp? You have to use Coinbase app to buy Bitcoin or Etherium with your card and then transfer it to Binanace app to buy XRP. Use Bitstamp. The. You need to open a wallet I used Gatehub. You then can transfer from Bitstamp to Gatehub. If your not familiar with it, it will take some time to figure out. I have the Ledger nano s, can someone explain how I can buy ripple and transfer the ripple to the hardware wallet? you can generate your ripple address after you instal ledger wallet ripple add ons in chrome browser. after that, you can send to your new ripple address. if require destination tag, you can choose any number. im choose destination tag: 1.
and it works. you can try with small number of ripple to try it first. Have it in mind that portfolio like this is meant to be in the long term. Bitcoin went through storm before achieving its value. Thus, you need to be calm about it. As an investor, you must be patient, calm and not greedy. Ultimately, it’s a risk but pays off in the long term. You might be lucky in the short term, though. If you don’t have any other monies to invest, you may convert some of the ripples to iota. But I would advice you leave them and source cash for other portfolios. Does any one know where I can get ripple in Canada? Is it better to buy ripple in koinex ? I use gatehub.net. It was recommended when snapswap us went under. You have to validate your identity, and you can wire money to your account domestically and internationally. It’s not super easy, but much easier than it has been in the past. Once you have cash in your account, you can trade. I recommend keeping your money in your personal wallets. And store all your backup secret keys. What personal offline wallet are you using for Ripple? Next year the US Govt is going to introduce FEDCOIN and Canada will launch CANCOIN and that is going to be a bullet in the head for all other bitcoins. I think you’re right, the US Govt will introduce ‘FedCoin’…but not likely next year. 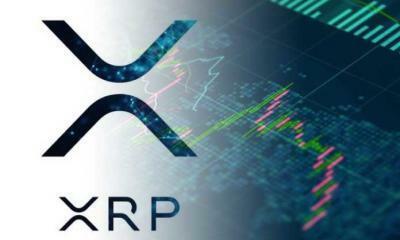 I feel now is the time to buy XRP once it’s more mainstream and easier to accumulate price will hopefully shoot up, we can take advantage of the perplexities in acquiring it now. Dominic, it’s simple. Register on Bitstamp & Remitano. Buy ethereum from remitano and convert ethereum to ripples. All comes with charges. Good luck. Ripple will eventually be available on coinbase and that will drive up the price. i buyed 600 ripples on 14th December when price of ripple keep on increasing i buyed at high price but now since 1 day price is keep on decreasing i am in loss right now what should i do. hold it or sell it? i buyed 600 ripples on 14th December when price of ripple keep on increasing i buyed at high price but now since 1 day price is keep on decreasing i am in loss right now what should i do. hold it or sell it? . Have patience guys, XRP definitely will grow slow progress is better then no progress…..
What site can i buy ripple? i heard some rumors that a named german bank will use xrp in 2018. Let´s cross fingers that this will happend. We have been doing a deep research on Ripple and two other cryptocurrencies and established that by March 31st 2018, The Ripple will be trading at between 36 and 43.09 USD. What if the integration is not successfully? it will be zero. Before the integration, there has been a lot of testing. Man, banks and Ripple Co. are no dumbs buying and lemonade. If they say: We are going to integrate it… THEY are GOING TO DO IT, no matter what. Now we have may… still waiting for your predicted value.. I totally go for Ripple,its operations are far different from many get-rich-quick currencies.Ripple grows with consistant pace,it has the features of permanance including its operations.I can predict that even though we dnt like banks due to their slowness,the banks will always exist no matter what,but i can see numerous banks in the world adopting the advanced systems of transactions.Ripple can take this opportunity to influence banks be influenced by them in its smarter operations.Ripple is our future! Based on the fever in the cryptocurrency market right now, I see the price of ripple easily reaching $100 in 2018. Anyone wants to bet? The Market Cap will be larger, but the unit price will be lower. But either way, it depends on the value of the USD. Where i can buy Ripple easily? Worked in banks for 12 years. Their biggest fear? Google /Amazon/others starting selling bank products online. Nordea (bank, denmark) just fired 4,000 ppl n replaced them with a robot “Nora”. I think they are “dinosaurs”. XRP will pass 3$ before 31st December and 2018 will e XRP year…. i have invested $30 when XRP was in $0,17 this year… My 98 coins are safe… and rotting in gold. Why not buy some more? We are reaching the $3 mark 😉 Goodluck to everyone! Hi I want buy but I have no ideas what is this… Plz tel me and how I buy…??? Don’t waste your time .Invest in ripple for at least one year it will give you a fruitful result ..From sources it will mark atleast 20 dollars in one year …..
ripple is the best and new way for investment people are worried about it. and they are confused but i would like to say its best way to invest many i get returns. but its always better to get knowledge about it before investing the money in it. I bought in at .25 just 400 just to see how fast it will grow. My banker friends are in for way more. On band wagon to see where my 100.00 dollars grow to. Ripple is actually poised for a larger position that Ethereum possibly $1000 and beyond. Could someone help me. Looking to invest my 100€. Is Ripple the right crypto to do that? Looking to possibly hold for a year or so but wouldn’t mind a faster results. Ripple will be synonymous with financial transactions globally over the next five years. The worlds most wealthy and safe institutions throughout history have been banks. Hence the saying safe as a bank. The Ripple effect will see banks engage its blockchain tech as they move to counter the growth of Bitcoin transactions. Load up on Ripple in 5 years time you’ll laugh at what you first invested in it for. I hope It’ll be cross Up to 4.70 US dollars in In 2018. Thank you for this Simple and very helpful Article. Cash advance on all cards and max it out, and go all in again. Also take out a loan on your home, or personal loan to the max. Today after the read your article I have invested in Ripple my 800 US dollars Thank you for giving the Good information About Ripple. I hope people didn’t listen to this advice.. 10$ for a ripple? it will not make that mark in the next 5 years that’s for sure. Unless bitcoin raises to over 200k. thank for providing such a nice detailed article.